Cake & Heels: Flavors of Belize with Michael Levinson & Gloria Fan's FOODIES! 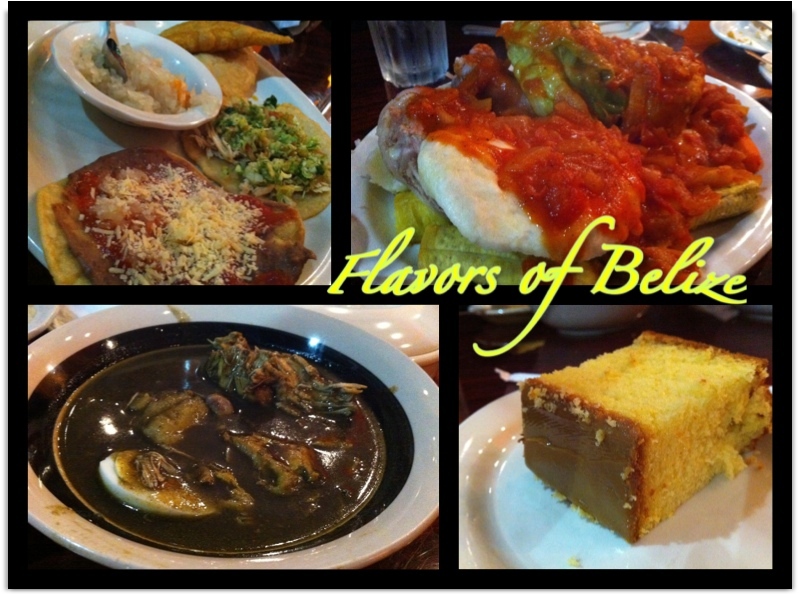 Flavors of Belize with Michael Levinson & Gloria Fan's FOODIES! There was a lot of conversation about the distinct pleasures of Sriracha sauce and even rumors of horse tacos at Grand Central Market. But left largely unspoken on that October evening was the common denominator that connected nearly everyone in attendance: Hollywood. Foodies, as the group is informally known, is a monthly gathering of up to 50 core attendees — writers, directors, actors, agents and producers among them. It's functioned as an adventure eating club in Los Angeles for the last decade. The collective is more likely to trawl the city in pursuit of Korean soybean milk cold noodles than, say, nibble on small plates at A.O.C. And there's the key to what makes these eaters unique. Hollywood folk tend to wine and dine within the narrow parameters of expense account eating. They're known for "doing" lunch, not for taking even the slightest food risk. Generally speaking, it's a culture of "dressing on the side," of gluten-free carb-o-phobia where a person's avocado allergy or vegetarianism can be defining characteristics. And now... on to the food! We started with a platter of salbutes and panades. The salbutes, similar to a tostada, were probably my second favorite of the night. A delicate fried tortilla covered in shredded chicken, crunchy shredded cabbage and drizzled with a sweet & sour sauce that was just right. The panades, which were like a soft empanada maybe, stuffed with fish & chicken, were served with a tangy onion relish. On each table there was jar of bright orange hot sauce that looked quite deadly, but as I'm sticking to my philosophy of try everything at least once, I spooned a glob onto the panades. It almost melted my mouth it was so hot! Made from habanero chiles, it's no wonder I was sweating bullets. But once I got past the gallon of water, it left a slightly smokey sweet flavor which worked amazingly well on the food. Granted I ate about a drop per bite. We also had a plate of ducunu or their version of a tamale stuffed with chicken & pork, but I totally forgot to take a picture. Next up was their African-inspired boil-up, which seemed like a clam bake gone dirty. A huge platter filled with slowly braised veggies in a onion & tomato sauce, served over a mountain of fish arrived steaming hot... but the thing that stuck out were the braised pig tails which *cough* looked a little like... well. You can obviously fill in the blank. Gag factor aside, it tasted just like pork! Not my favorite of the dishes of the night, I felt like the sauce pretty much flavored everything to taste like marinara sauce. For the last savory course they served up their chirmole. THIS is the dish I would go back for over and over again. A black Oaxacan mole, whose rich decadence was only added to by tender shredded chicken and a single hard-boiled egg, was perfection in a bowl. I could try to describe the complex layer of flavors... but really, you just need to try it yourself. They ended on a sweet note with a simple yellow cake topped with a dark caramel icing. A nice simple & light way to finish the meal. So thank you Gloria & Michael (and Diana for inviting me) for this wonderful dinner! Can't wait to see what's coming up next! Seriously tho, that black soup. Totally worth a trip back!